Episode recorded on March 6, 2015. Download the AUDIO episode here (48:48). Watch the VIDEO episode here. Here is the direct feed and the iTunes page for the podcast. 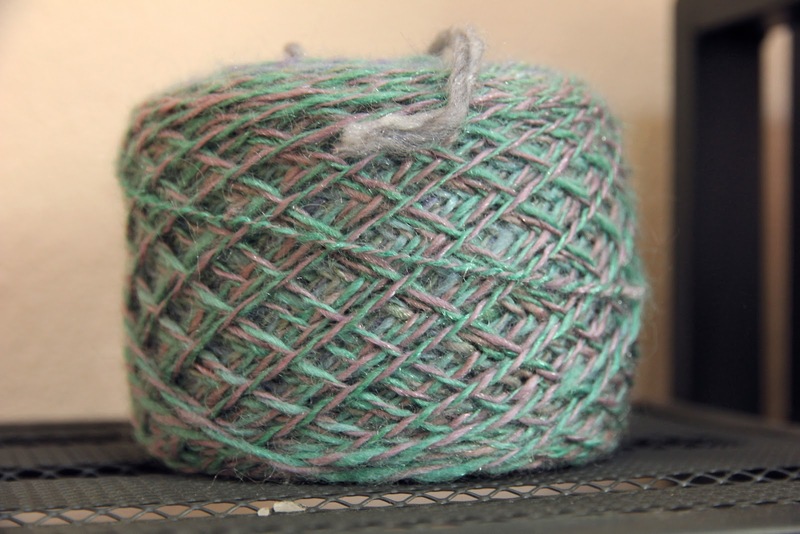 I am FluffyFibers on Ravelry and the podcast has a Ravelry group and forum. Nectar Enchanté by Les Jardins de Gaia: organic green tea with peach and vanilla. I am wearing my Jalie Sweetheart top. Names have been exchanged and packages need to be sent out by March 15. All the details are posted in the ravelry group, and we have started a chat thread. We have also set up a small Pinterest board as inspiration for handcrafted gifties. Craft something that makes your life more gentle. Cosy socks, a shawl, a blanket, a tea cosy… Does not need to be cast on specifically for this, and multiple-dipping is of course fine. Can be any craft. Let’s share ways in which we are mindfully gentle to ourselves. People have been sharing inspirational thoughts and projects in the Ravelry group. 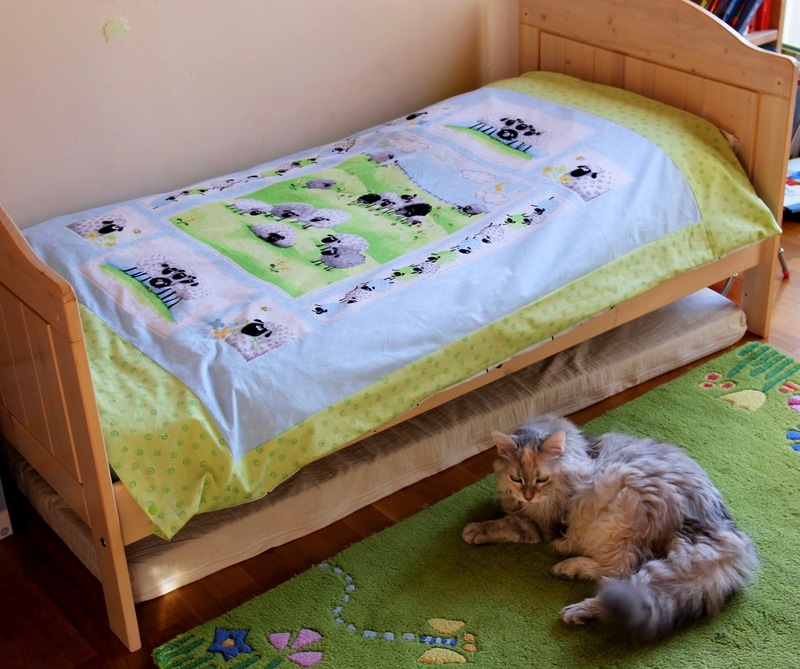 I made a duvet cover for my daughter out of fabric from Susybee Fabrics. – The Boardwalk Skirt from Go To patterns for my daughter. It is currently free on Craftsy! First sock for Seb out of Online Supersocke 4-fach, in the shade 1530. – Second sock for Seb out of Online Supersocke 4-fach, in the shade 1530. – Hitofude Cardigan out of Surnaturelle yarn from La Droguerie, in the Ardoise (Slate) colourway. 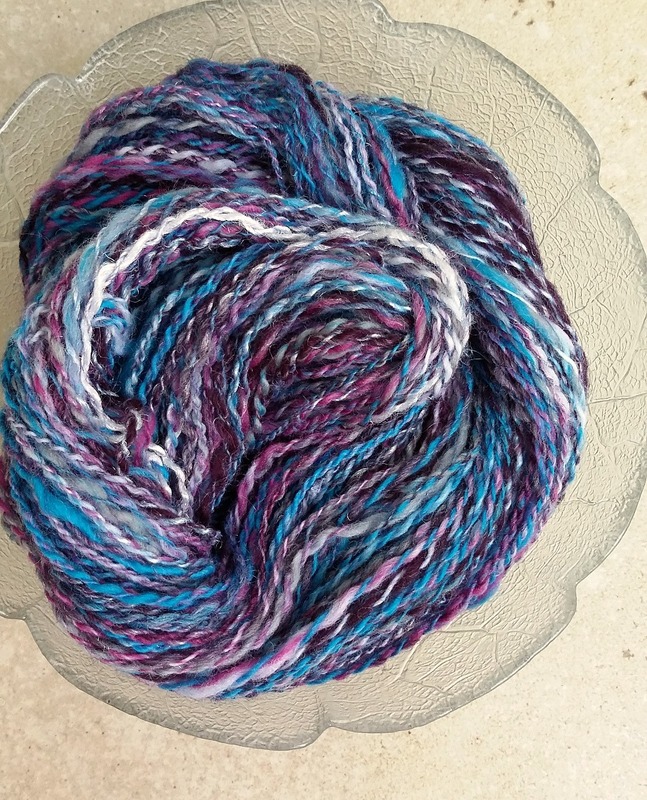 Hand dyed yarn from Gregoria Fibers , who generously donated a lambswool and mohair skein for the Gentle Along. 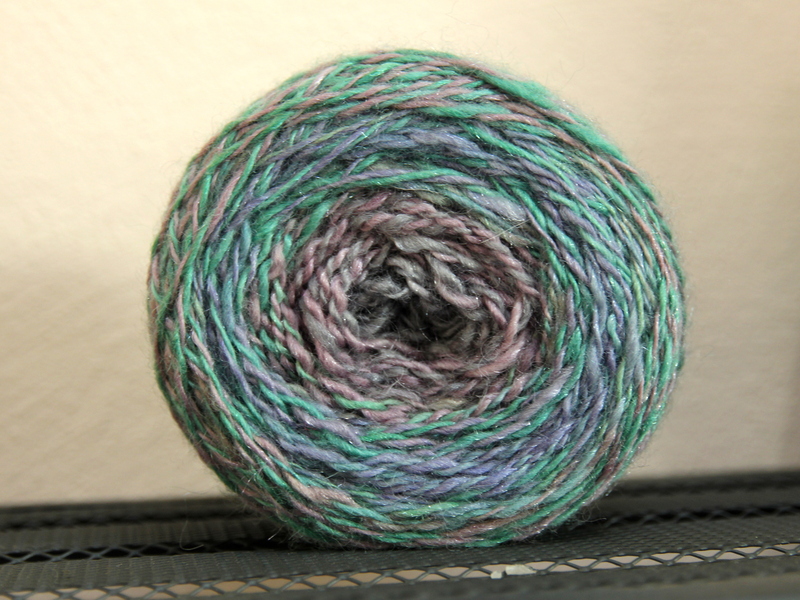 – I re-plied and caked my Juno Fibre Arts yarn named Wishing Tree: 70% BFL- 30% Sparkle. I’m going to knit it into a Stretcher Quaker Boomerang by Susan Ashcroft. 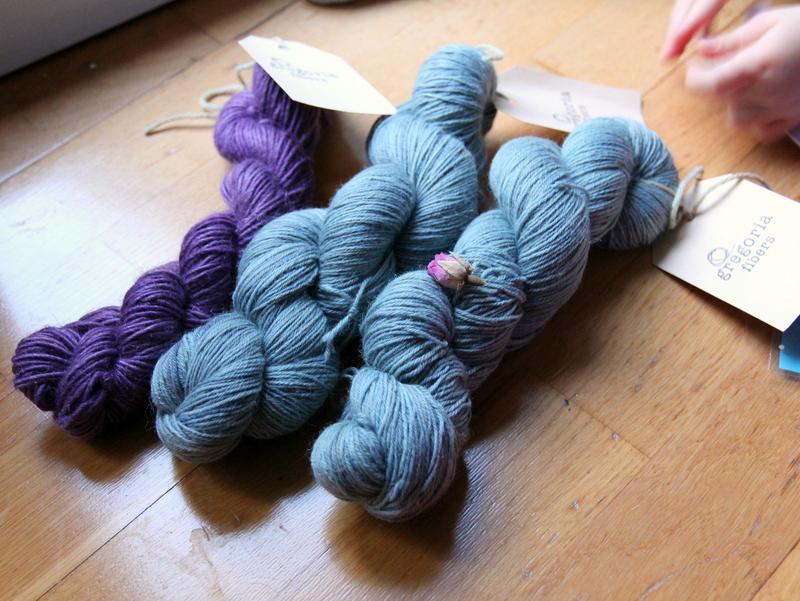 – I spun and two-plied rolags from Sara’s Texture Crafts, in the Oslo colourway. My first attempt at spinning woolen. 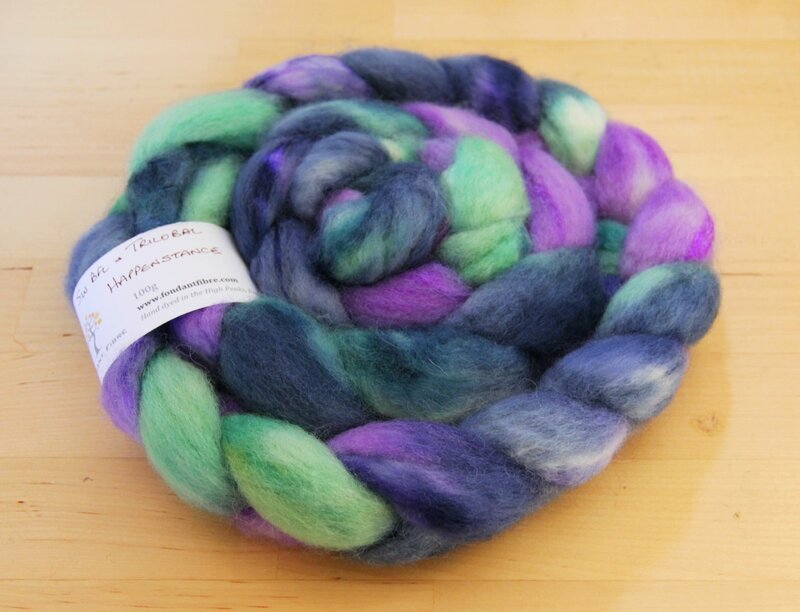 Fuzzlings from Fondant Fibre, who also donated a gorgeous prize for the Gentle Along! Credits: Music: Piano Sonata in E-flat Major, mvt. 3 by Joseph Haydn, played by Mario Ajero. I haven't listened to the podcast yet, but did look at the show notes. Thanks for the link to the boardwalk skirt. I've just downloaded it. Looks adorable!